Take a half-day walking tour of the Old City in Udaipur to view its many highlights up close. 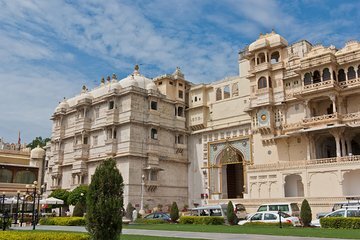 See landmarks including the City Palace, the sprawling 18th-century Bagor ki Haveli, and Gangaur Ghat on the banks of Lake Pichola. Stroll through narrow lanes and learn from the guide about the art of painting in miniature, a classic form of Udaipur. Proceed at a leisurely pace with regular stops.